You definitely know the importance of the Government Loans and Grants on your business’ operation and are hungry for it. But do you know which one is suitable for your business? Is it bringing you the greatest benefit? You must never thinking about this question, “What should I do?” when you plan to search for some funding. Obviously, there are always a ton of questions to ask when it comes to applying for loans and grants. 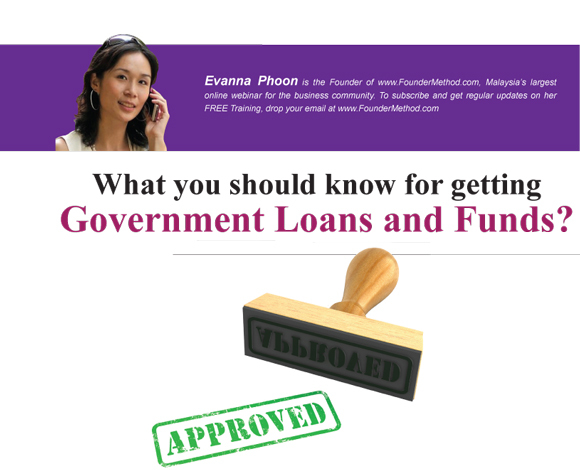 In this issue, I will share what I’ve learnt from one of my speakers in FounderMehtod, Ching Chee Pun about the types of Government Loans and Grants that are available for Malaysia SMEs to apply in common. Please note that I am not the expert in Grant but I am lucky to have Ching (the expert of Malaysia Grant and Loan Programmes) to share in my Webinar. In the past few years the Malaysian government has come out with many financing schemes to help SMEs start or grow their businesses. The efforts of the government to encourage SMEs can be seen from improved and more beneficial financing schemes that have come out year after year. There are a total of seven types of Government loans open for application currently. In Malaysia, it is hard to get funding from commercial banks when your business as not run for at least two years. But the Graduate Entrepre- neur Fund is open for start-up businesses, which means you can apply for it even if you have just started your business. The objective of the Graduate Entrepreneur Fund is to help young entrepreneurs start their businesses and also for those who already own businesses. 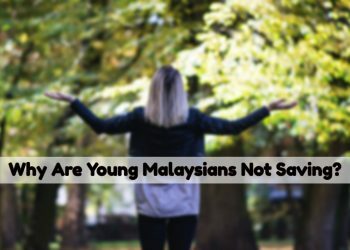 The participating banks is an SME bank and it is open to all Malaysians below 40 years old and those who have graduated for not more than 15 years and most importantly must at least hold a diploma qualification. The maximum loan size is RM500,000 but you can boost your financing up to RM750, 000 for acquisitions of a company (for Fixed Assets only) and get a low interest rate of four percent. This sort of interest rate is a reduced method which simply means you pay less interest when your principle is paid. You will be able to enjoy a grace period of up to 48 months, which means that you do not have to repay your load immediately but start doing so only after 48 months. No guaran- tor is required if your loan amount is less than RM100,000 but when financing exceeds RM100,000 a guarantor is needed. A guarantor only guarantees 20%. There are two categories for applying for this loan; one is for new businesses and the other is for existing businesses. Applicants who start a new business need to attend a course conducted by INSKEN. The course is a Free of Charge Government course that teaches you about entrepreneurship. All applicants must submit business proposals and conduct a presenta- tion. Once the applicants get the approval from the INSKEN course leader, they will be proposed to a SME bank for a loan. However, the applicants will not get a loan if they fail this course. For existing businesses, the process will be the same and if your business started less than two years ago. However if your business has been running for more than two years, you will be exempted from both attending courses and doing the presentation to INSKEN. You will be able to submit your business proposal to the SME bank straight away. This fund is handled by an SME bank and it uses venture capital funds and working capitals of the company. This means it is suited for start-up businesses and developing existing businesses. It is quite similar to the Graduate Entrepreneur fund but the criteria for application is slightly lower. The applicants must at least hold a certificate qualification and is aged between 18 to 30 years old. If those without vocational certificates want to apply for this scheme, they should attend a training course conducted by the SME bank and get a certificate of completion. The financing limit of the Young Entrepreneurs Fund is only up to RM100, 000 maximum. The interest of this fund is 5 percent. Sometimes the application process is a bit lengthy, but somehow worth the wait because of the low interest. This scheme is targeted at businesses which have been running for at least two years and is not suitable for new, start-up businesses. It falls under the Islamic Business Loan, which means that it is offered to businesses that fit into the Islamic principles. For example, if your company is selling pork, you are not qualified to apply. However, many Non-Bumis are welcome to apply. The participation banks include most of the registered Islamic Commercial Banks such as Bank Rakyat, Bank Islam, HSBC Amanah and exclude SME banks. The loan amount offered is big. It range from RM 100, 000 to RM 5 Million and the terms of loan is a maximum of 5 years. Many are encouraged to apply because there is a two percent discount offered by the Government. However, your business has to fulfil some condi- tions, for example, it has to be accorded with the MSC status by MDeC or certified under 1-InnoCERT to be automatically qualified for the scheme. But let’s say you do not have any one of the certificates and you want to apply, there is a way out. The SME Corporation has a rating system named SCORE. Your company will be accessed by a representative from the SME Corporation to see what level your company is at. Your company must be rated at least 3 stars in order to get the loan. This scheme has always been available but few people know about it as it is not actively promoted by the banks. This is because banks do not profit much from this scheme and it is sometimes referred to as ‘charity work’. Currently, only Maybank and CIMB offer the scheme. The criteria for this scheme is that your business’s annual sales turnover should be greater than RM500, 000 but less than RM25 Million or your full-time employees are less than 150 people. 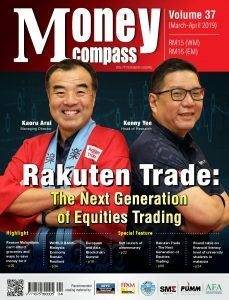 Your shareholders’ Fund should be less than RM2 million; meaning that the total amount of your paid-up capital and accumulated profit is not more than RM2 million. This scheme encourages companies which have been in operation of between three to seven years. 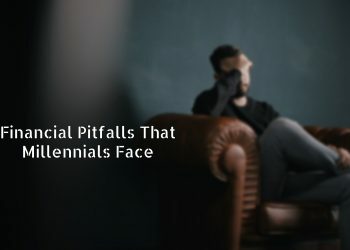 If your company has existed for more than 7 years, the banks will still accept the application if your company’s net profit margin is less than 3 percent in the last 3 years. The loan amount ranges from RM100, 000 to RM 3 million and the interest rate is 4 percent to 6 percent including a 3 to 5 percent CGC Guarantee Fee but for now it is getting higher. When you plan to do your own business but have run our of ideas for funding, start thinking about Green Technology as the trend of Go Green is getting more popular around the world. Bear in mind your business should go under one of the following sectors; which are the energy sector, water and waste management sector; green building sector and the transport sector. Your company must have a GTFS certificate and it will only be issued when your company fulfils the requirement listed by the Green Technology Corporation. You will get the subsidies of 2 percent interest from the Government or the CGC guarantees 60 percent. The loan size can be huge and it divides into two categories which are up to RM50 Million for a producer such as a manufacturing factory and up to RM10 Million for consumers such as retailing companies. This scheme is based on a collabora- tive effort between the SME Bank with the Halal Development Corpora- tion (HDC) with the objective to support entrepreneurs involved in the Halal-related sectors. If you own a restaurant that is pork-free and alcohol-free, you should go for this scheme. equity. The most beneficial point of this scheme is that the loan size can go up to RM200 Million. name is only an additional source, you have to put in some properties as well to get the loan. IP in 5 years term including a grace period of up to 12 months. 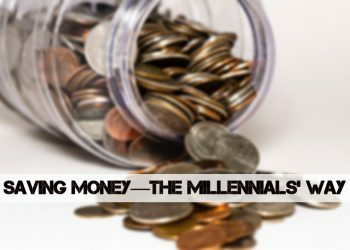 Additionally, the Government will either give you 2 percent or around 4 to 5 percent annual interest. Technology, Biotechnology and Green Technology. Basically, Government Grants are divided into two levels which are; Pre-seed and Seed. Pre-seed refers to those who just have an idea in mind and do not know what to do about their idea. There are two programmes under the level of pre-seed. It is managed by Cradle Fund Sdn. Bhd. and the purpose is to fund innovative people with technology oriented ideas and transform their raw ideas into commercially valuable ventures. The amount of funding is up to RM150, 000 per idea and also provides mentoring to help with the whole project. If the applicant fails to complete the project, he or she has to pay the repayment of grants and admin fees of 4 percent. To apply you would need to prepare a business proposal and submit it to Cradle Fund Sdn. Bhd. You are required to go for an interview if you are short-listed. According to the official website, the application process will take around 3 months but normally it takes more time than that and you may have to wait 5 to 6 months. will be a good choice of funding for you. The major difference between this and the Cradle Investment Programme (CIP) is that it will focus more on providing the facilities to the applicant than funding them with money. It also requires the applicants to have applied for MSC status in order to get funding while the Cradle Investment Programme (CIP) does not. There are three programmes under the level of seed. In this level, it can be seen as a going through a programme that brings you from pre-seed to seed. It aims towards helping the applicant to grow or market their business and act as a fund commercialisation for the applicants to start up their business. It offers RM350, 000 per deal. It is run by the Ministry of Science, Technology and Innovation (MOSTI) to promote the development and innovation for the purpose of commercialisation. The amount of financing ranges from RM20, 000 to RM250, 000 for 18 months as maximum tenure. It is run by the Malaysian Biotechnology Corporation and is exclusively for Biotechnology related business. Its maximum financing is RM2.5 million to be disbursed within 2 years. If you are wondering why all the grants listed above are specifically for technology oriented businesses, a grant that targets business and marketing is right here. It helps you export any business overseas. Assistance and funds can be obtained through attending International Trade Fairs, exporting market research, undertaking promotional activities with Hypermarkets and Retail Stores Overseas and so on. As for the amount you may get it is on a case-to-case basis.